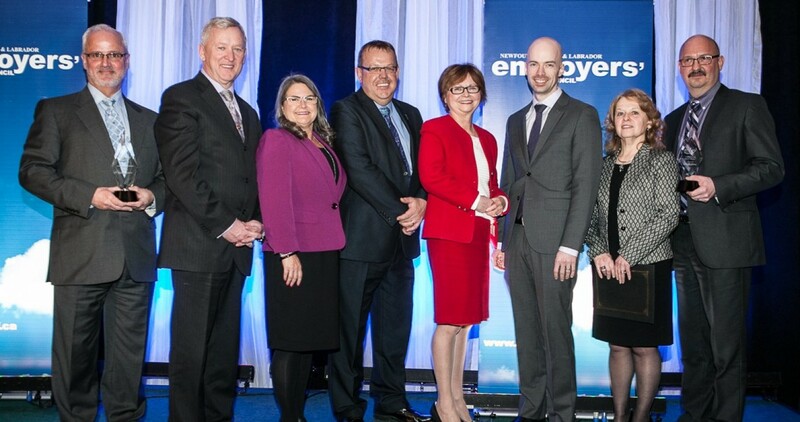 The NL Employers’ Council honoured Petroforma Laboratories and College of the North Atlantic at the 2015 Employer of Distinction Awards Luncheon & Reception Monday at the Sheraton Hotel in St. John’s. 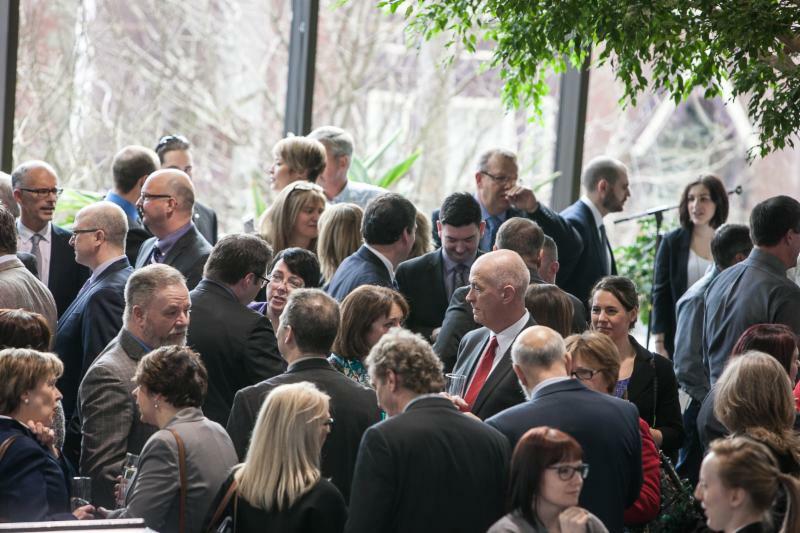 The Luncheon and Reception was attended by nearly 200 business and political leaders and featured a keynote speech by the honourable Judy M. Foote, Federal Minister of Public Services and Procurement. 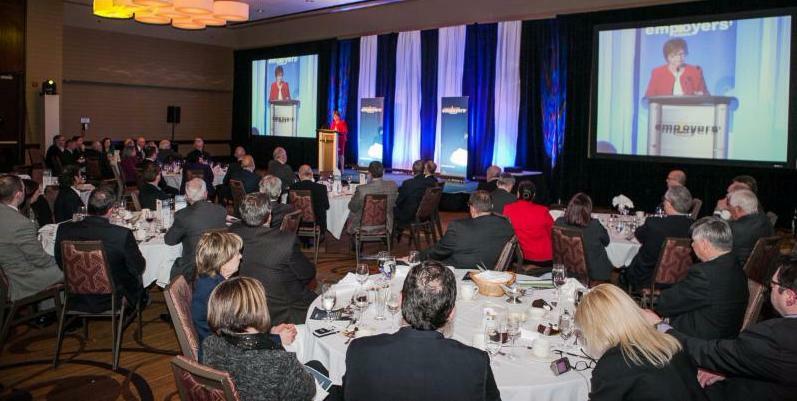 Foote spoke to the business community in NL for the first time since becoming Minister. 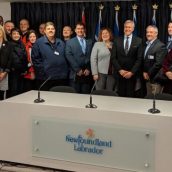 She was on hand as the Employers’ Council celebrated all shortlisted organizations: Anaconda Mining, Commissionaires, College of the North Atlantic, Eastern Health, Petroforma Laboratories, and Vigilant Management. 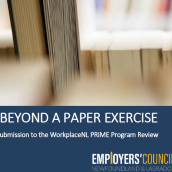 To be shortlisted for the award employers must score at least 80% in five award criteria in the initial Employer of Distinction Questionnaire: Productivity & Innovation, Workplace & Atmosphere, Health & Safety Practices, Community Presence, and Corporate Responsibility. The winners are chosen by a panel of independent judges. 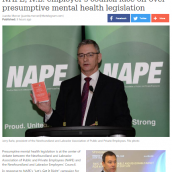 This year’s judging panel consisted of retired NewTel President & CEO and NLEC Founding Chair, Vince Withers; retired Executive Director of the NL Health Boards Association, John Peddle; and retired Wabush Mines executive, John McGrath. For more information on the winners and the application process for next year, visit the Employer of Distinction Program page.